Who'll be the first to Platinum it? 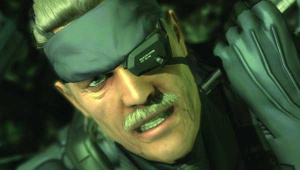 Metal Gear Solid 4: Guns of the Patriots’ long-awaited (and completely unexpected) Trophy patch will arrive in August, publisher Konami has announced. The update will include 34 digital trinkets, and is being released as part of the franchise’s 25th anniversary plans. 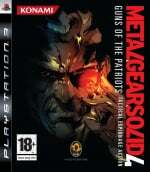 In Japan, the PS3 exclusive is getting a full re-release. According to the Konami online marketplace, the updated version will include the option to fully install the game. Currently, the title installs between chapters. It’s unclear whether the improved install feature will be added to existing copies of the game. Trophies, however, will be available to everyone. Hurrah. Update: Konami has confirmed that patched copies of Metal Gear Solid 4 will be able to take advantage of the full installation option. Good news all around, then. @SupaLewigi Thanks for the heads up. I have updated the article. Very un-expected! I have been wanting to play through this game again. Now I have more a reason to do so! Now they'll get to work on ZOE 3 and MGS5.